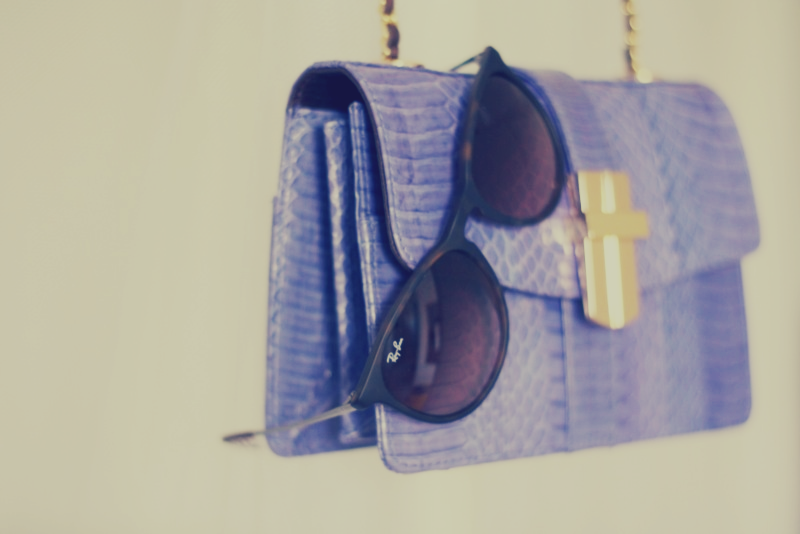 Top fashion blogger and all round gorgeous girl Summer Lee has written a wonderful post about her Angel Jackson Samaya Mini Box Bag in Bluebell,and shown us how she wears her snakeskin handbag. Summer Lee’s floaty summer look is complemented perfectly by the dusky blue hue of the bag, and is toughened up nicely by the high gloss gold clasp. The Samaya is one of our most versatile bags; its boxy shape works just as well for an evening out as it does for a shopping trip thanks to its sturdy chain strap and compact leather interior.